I took the tide pod challenge. But I did it the right way. 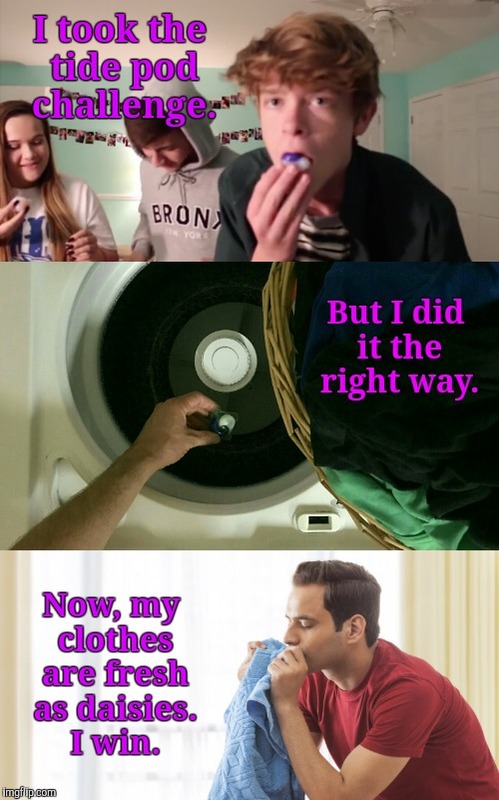 Now, my clothes are fresh as daisies. I win.